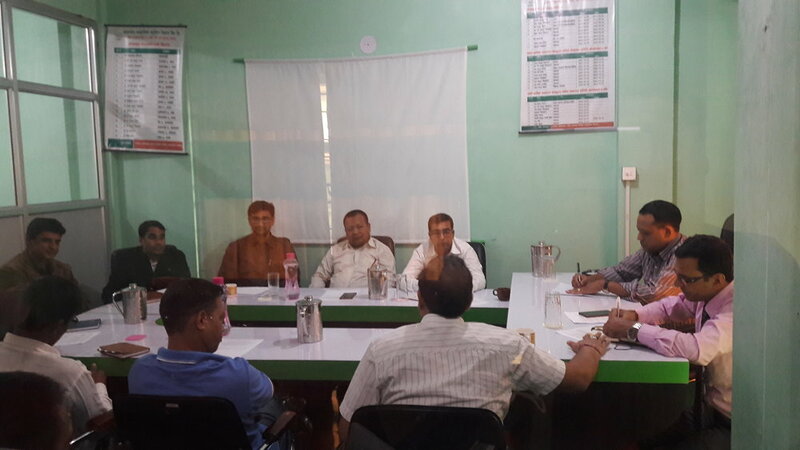 Round Table Discussion on “Possibilities of the investment in alternative energy and the possibilities of the promotion of new product as well as its potential area“ in Head Office, Butwal-12, Rupandehi, Nepal. Chief Executive Officer from different Microfinance Institution, Regional Manager from Microfinance, Development Bank and Commercial Bank along with Management Team of JSLBB,Gyaneshwor Panta, Ranjeeta Dulal, Indra Baraly were present at round table discussion. Program was conducted in chairmanship of Board Member of JSLBB, Mr. Baburam Bishwakarma . In program, 20 participants from different organization were present. Program was focused on possibilities of Alternative energy as new product for microfinance , and the method, possibilities of the promotion and its potential area in present area and more discussion was made about the need analysis of the client as well as discussion on how could be possible to develop the alternative energy as new product and its effective utilization.